VB-Audio CABLE is a Windows Audio Driver working as Virtual Audio Cable to connect two applications together (player to recorder). 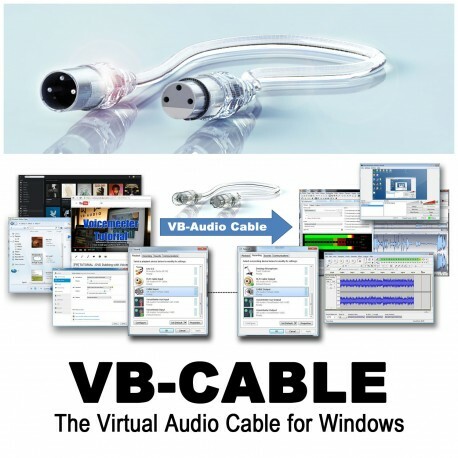 Thanks to its Multi-Format Audio Engine, VB-CABLE can be used without any configuration! Ready to work with all Audio Application using MME, KS, DX, WaveRT or WASAPI interfaces. For professional use or server installation, you may purchase license according number of users or PC. For Volume Licensing, integration or distribution deal (> 10 units) contact us to get quotation and agreement adapted to your project. Download zip on your local disk (C: system disk).